In case you can’t find the advice, information, or inspiration that you need on UTB, let us present a small selection of some of more trusted “go-to” travel websites, guides and blogs in the hope of opening up to our readers more potential worldwide adventures, on-the-ground info and tips, and handy resources for booking the all-important flights, hotels, insurance etc. One of the blogosphere’s most professional individual efforts, HOHT follows the peripatetic Heather around half the planet giving her readers plenty of tips and inspiration en route. Heather also publishes podcasts. Pola is an urban adventurer just like us (in fact she penned our awesome insider’s guide to Chicago! ), and a great new personality in the travel blogosphere. Follow her adventures as she jets around the United States and beyond. One of our favourite aspects of her blog are her regular interviews with famous writers/bloggers/artists… we’re just waiting for our invitation… Pola? You there? Pola…!? Michael Turtle is the nomadic journalist behind this blog, which is in the premier league of blogs we could recommend across the web. There’s no self-indulgent diary-style pap here, but great stories, tips and advice written in convincing style (as you might expect from someone with a journalistic background!). Check it out and thank us later! Follow vlogger Brian Cox as he searches the world for “adventure, food and nightlife”, chronicling it all via his video reports. From swift but sweeping looks at entire cities, to indepth focus pieces on specific attractions, beaches, hotels/hostels, festivals and clubbing scenes, Brian reveals the world in glorious bitesize reels of technicolour film… whilst his irreverent commentary adds a lot to the fun! Francophones will enjoy following the adventures of a certain Monsieur Pierre Le Van as he gallivants around the globe getting up to no good and reporting all with his Gallic sense of humour. He has dedicated sections to air travel and special deals. The original backpacker’s guides have long since grown up and gone global, and these days their travel advice extends far beyond trekking around Asia on a shoestring budget, as Mum and Dad have also taken to purchasing these handy books. The website has also come along way since the BBC bought in, and their Thorntree forum is a valuable place to seek advice from fellow wanderers. Their printed City Guides are still the benchmark for hip travel advice, and their websites are pretty handy once you’ve got the hang of them. The Editorial choice and search filters are particularly useful when researching bars and restaurants. Slightly confusingly they sell their franchise as both guidebooks and local magazines… but hey you’re smart enough to work it out! Beginning as a series of guides to Polish cities, Local Life has expanded to include a strong presence in Eastern Europe, and a few outliers like Barcelona and Miami. Their flagship site is still Krakow Life, which is an indispensable friend in Poland’s cultural capital. And when in Polska look out for their printed maps too. 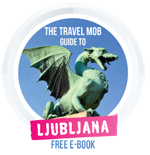 A blog collective founded by none other than ourselves at UTB, The Travel Mob are a team of top bloggers who leverage their travel savvy and various areas of interest to create amazing destination profiles… check out their Ljubljana guide and prepare to be inspired! Overwhelmed by your budget accommodation options? The passionate team at Hostelgeeks have made it their mission to find the best single hostel in every city around the world based on the following criteria: sustainability and eco-friendliness, design, character, social vibes and staff. They also have excellent “Geeky Guides” with tips. An editorial fave, R&K focuses on gritty and indepth foreign correspondence of far flung destinations. Not the place to go for tips on the best boutique hotel in town, this is where you discover dusty tales of human experience from places that don’t always make the brochure front cover. The writing and photography are both top notch. A great flight comparison site, that searches available flights from 1200 airlines and sorts them in order of price, to help make sure you always get the best deal when you fly! If you’re feeling a little Vitamin D deprived this search engine helps you find cheap holidays across the Mediterranean, with plenty of great Spanish destinations such as Barcelona, The Balearic Islands, Costa del Sol and the Canary Islands, as well as the hotspots of Italy and Greece. They boast of being up to 50% cheaper than the brochure and all of their holidays are ATOL protected. Established in 1984, this leading tour operator (based in the UK) specialises in slow travel holidays. What does that mean? It’s about unwinding and taking the time to really get to know a place along with its secrets, traditional ways of life, its scenery and wildlife and the people who live there. They organise walking and cycling holidays in many of Europe’s most stunning locations, as well as short breaks and cross country skiing in winter – always adhering to a policy of sustainable tourism. A rich resource for anyone addicted to life on the big blue sea, or indeed anyone considering booking their first ever sailing holiday, Get Sailing has inspiration articles on chartering on a yacht in great destinations around the world, focusing on Europe and the Mediterranean, in countries such as Spain, Greece and Croatia. Send them an enquiry if you want to book a boat. This Luxembourg based business offers powerful diagnostic tools for your social media campaigns. A great resource for brands looking to measure their engagement and ROI in the noisy world of travel media.